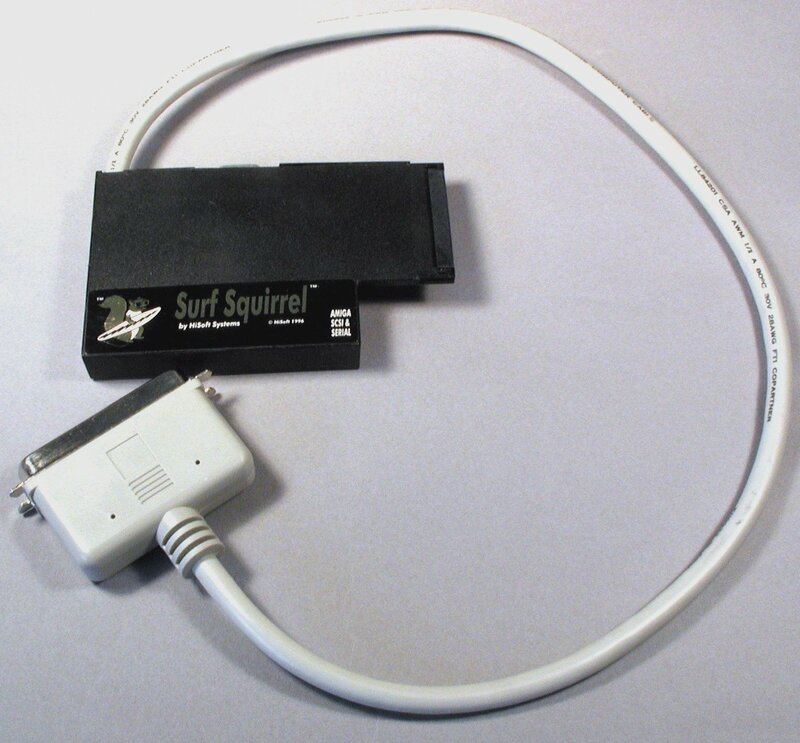 A SCSI-2 Interface which connects to the PCMCIA port of the A1200, capable of up to 2.6MB/s. The supplied cable is a large centronics style cable. 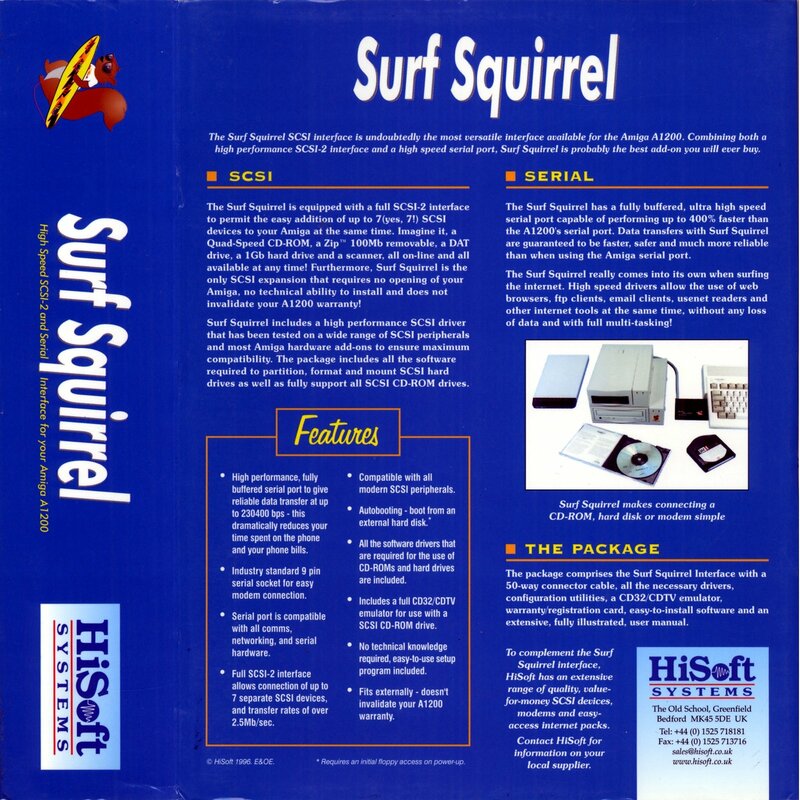 It also includes a high speed serial interface which is a 9pin D-TYPE, capable of 115,200 on a fairly basic Amiga or up to 230,400 on an expanded Amiga. 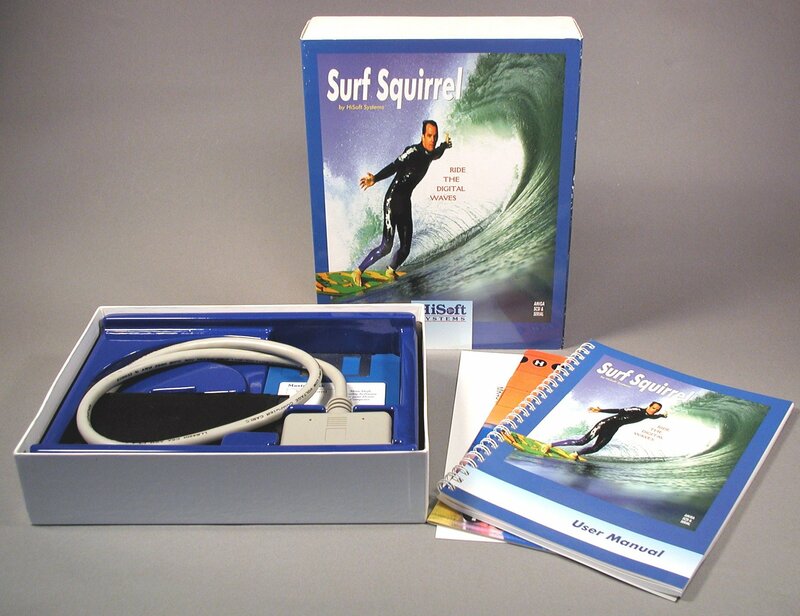 The serial support has supports RTS/CTS (aka Hardware Handshaking) and XON/XOFF (software handshaking). 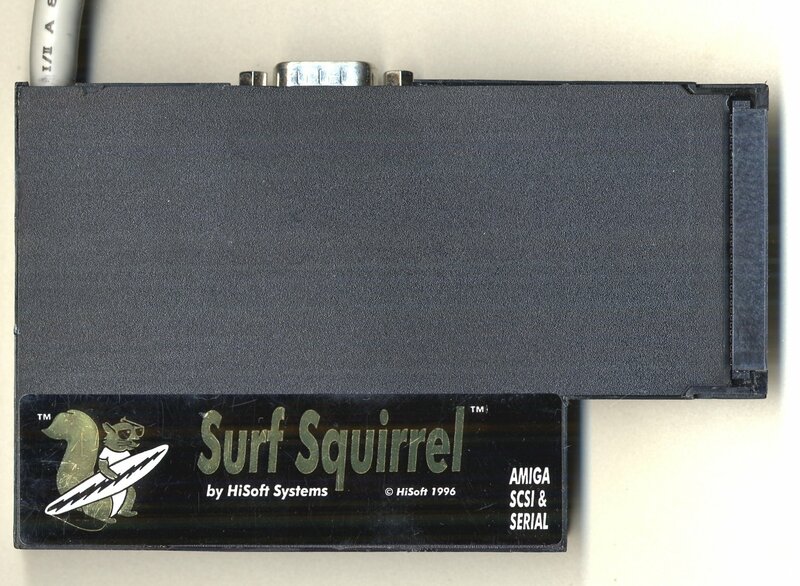 This device doesn't appear to use DMA. 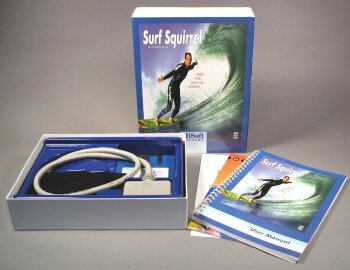 The surf squirrel does not support auto-booting from a cold boot (power cycle) however drivers can be made resident by booting from another HD, resetting and then the HD attached to the surf squirrel can be booted. There are no jumpers or similar such configuration options on the card. 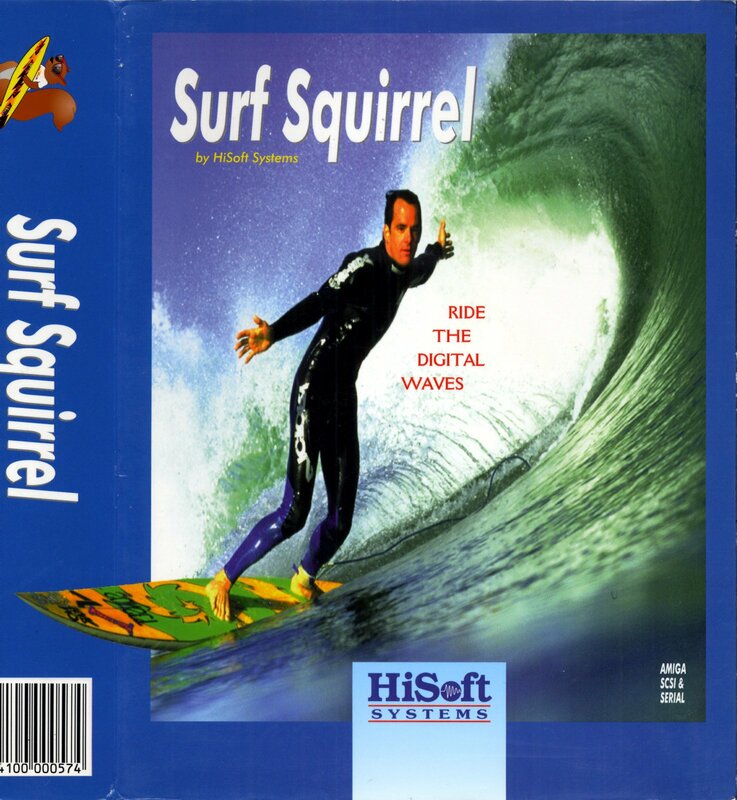 Apparently the Surf Squirrel is NOT compatible with the A600. 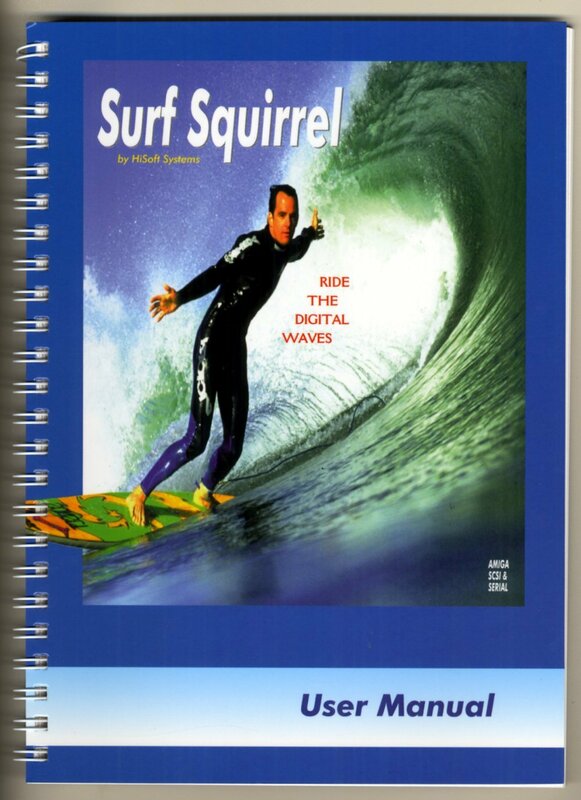 Page contributors: Iggy Drougge, Simon West, Takahasi Kasiko.